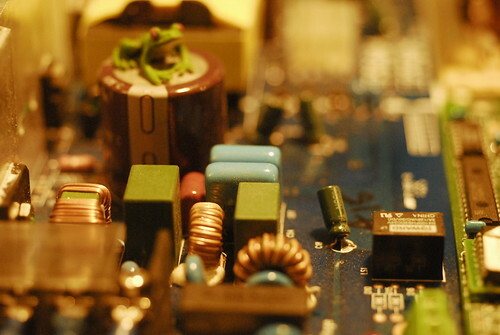 Are you looking to leap into the world of electronics? Have an awesome project in mind but need to start with the basics? There are still a few spots left for the Intro to Electronics workshop on tonight (March 26) from 7 PM to 9:30 PM. We’ll help you take those first steps towards making your great ideas work. The workshop is designed for complete beginners but it is also a good refresher for those who haven’t done electronics in awhile. We will go over some fundamental electronics components, such as resistors, diodes, capacitors, switches, potentiometers, and simple integrated circuit chips. Through a series of hands-on circuit building exercises we will cover proper wiring, reading circuit diagrams, voltage, and current.